Sending out baby shower or birthday cards? Great ... these are the perfect addition to your envelopes. 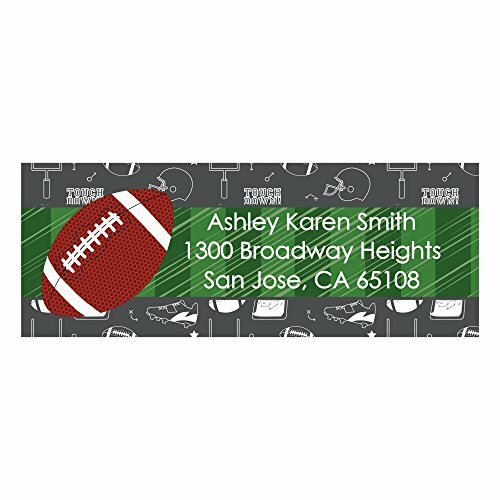 These unique Custom End Zone - Football address labels are printed on premium-grade paper with a photo-like shine that is made in the USA, and include free personalization. Whether you're sending out birthday cards, baby shower, or thank you cards, you'll love the style of our personalized return address labels. 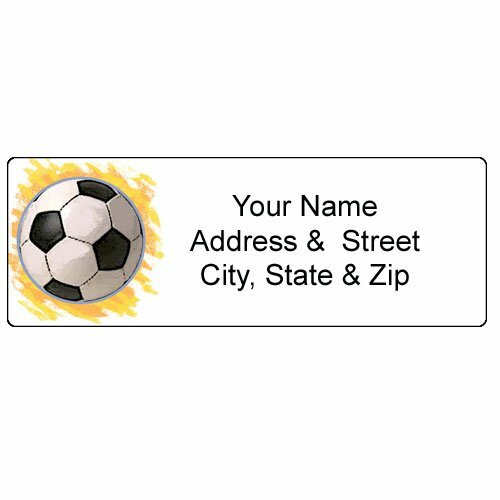 Soccer Address Label - Customized Return Address Label - 90 Labels - 1" x 2.75"
Soccer is definitely the world's favorite sport and has been for almost 2,000 years! You'll feel like you're out on the field and ready to play with these 4 lifelike images. 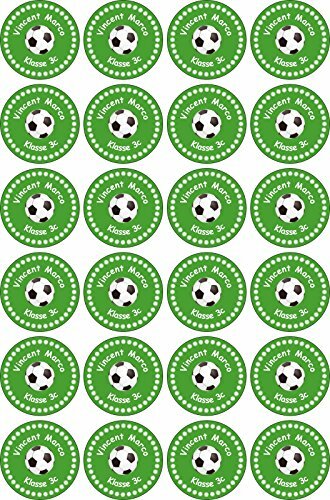 Your favorite team might not always score the most goals, but at least you'll have a reminder of how much you love the game each time you take out your labels. Enjoy these address label sheets. Sending out baby shower or birthday cards? Great ... these are the perfect addition to your envelopes. 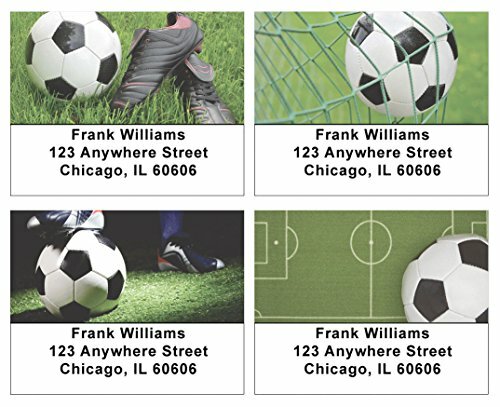 These unique Goaaal Soccer address labels are printed on premium-grade paper with a photo-like shine that is made in the USA, and include free personalization. 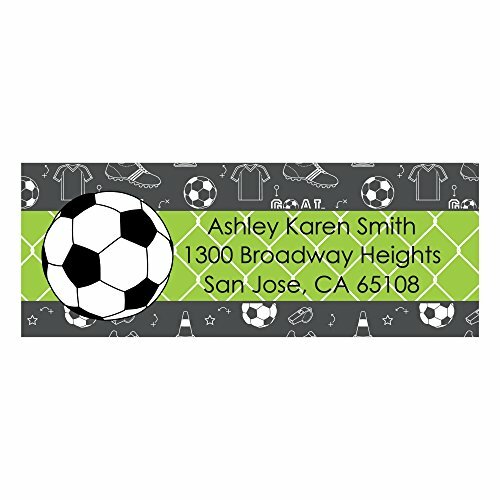 Whether you're sending out birthday cards, baby shower, or thank you cards, you'll love the style of our personalized return address labels. Personalized Custom 42mm Round Football Basketball Sport Creative Design Monogram Self Inking Return Name Rubber Stamper Teacher Business Address Label Stamp Sanitary Office Supply.This stamp information: Round Stamp Size Diameter 42mm/1.65inch.Ink colour available: Black, Red, Blue, Purple, Green, Hot Pink or as your requested. 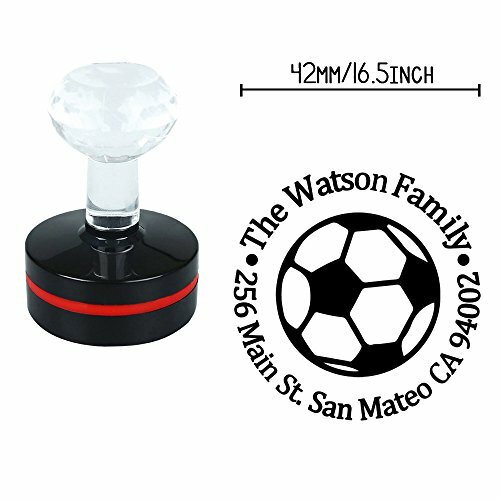 You are purchasing a mounted flash stamp with lid. About the stamp: All the stamps are 100% brand new and made to order. 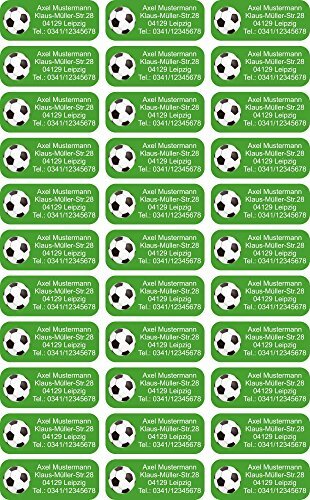 Stamps are made from high quality Flash stamp foam and guaranteed up to 1 thousand impressions. This new flash stamp technology is a way better than the traditional rubber stamps, much clearer, easy to use, quick dry, every ink refilled can last hundreds of times stamping, no messy ink pad required. Please be aware, not all the inks can be used for the flash stamp. The wrong ink could damage the stamp. If you purchase from your local store about the ink, make sure it is for the flash stamp. The design of the stamp is fully personalized and no restricted to the listing designs. You are welcome to supply your own artwork, clip-arts, logos, or portrait, words etc. All the image file formats are acceptable ie. Jepg, gif, pdf, png etc. 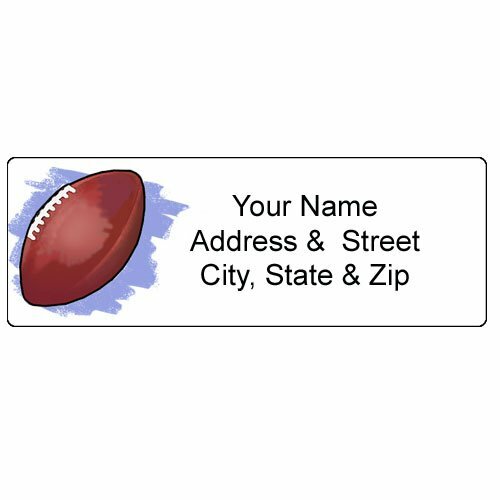 Copyright © Wholesalion.com 2019 - The Best Prices On Football Address Label Online.